Wow. It's been almost a week. I would say I've been on hiatus here recharging the brain, but really I've been completely buried at work and just too busy to think about writing here. During my downtime, I've been goofing off on the netbook. 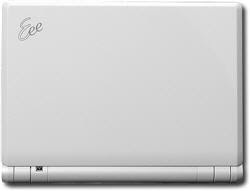 It's the Asus EEE 900A - currently marked down to $199 at Best Buy. This netbook rocks - I wish I did something productive on it, but I mainly goof off. I installed EEEbuntu and 2GB of RAM and it flies quite nicely. I have started downloading podcasts also, so the slacking potential is huge. 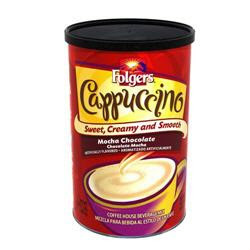 Then, there is the evil Folgers Cappuccino drink. It's good - like hot chocolate but a bit snappier. Drink it fast - it's like a Krystal - when it gets cold, it's ruined. The forecast tonight is for ice and I'm hoping I don't pull a repeat performance and fall on the ice like I did a week ago tomorrow while out of town for work. The soreness peaked Friday and stayed through yesterday. It is amazing how slowly you bounce back as you get older. And, I'm not talking "really older" either. I'm scared to think what a fall like that could do ten years from now. Ten years ago, it would have been quickly forgotten! I have a laundry list of topics to write about but I'll hold off starting on them until tomorrow night. Time to get some sleep before the ice starts plinking off the windows.